A pioneer library in sustainable design, with a flexible interior space that has permitted a complete redesign to meet the way students now work. The University of Coventry’s Lanchester Library was a pioneer in sustainable construction when it was built in 2000. 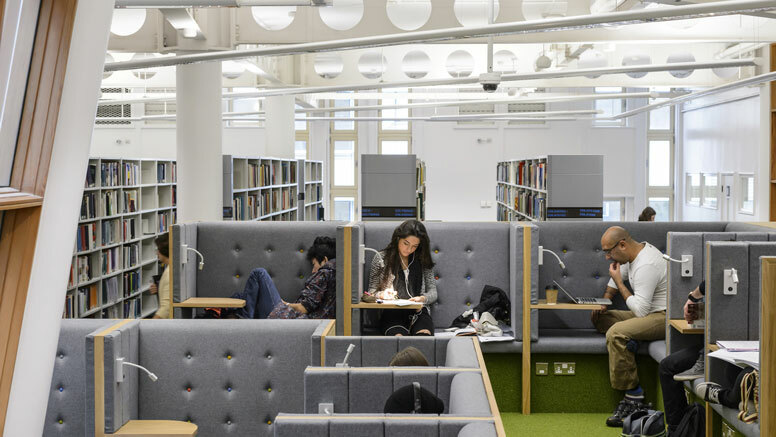 One of the first university libraries to feature passive ventilation, it is a case study of best practice in sustainability – and remains the largest naturally ventilated deep-plan building in Europe. The plan was to spread the stock out, creating a sense of space and freeing up room for more personal and group study areas. “Our main shelving is now on three floors, with some additional rolling stacks in the basement,” said Kift.